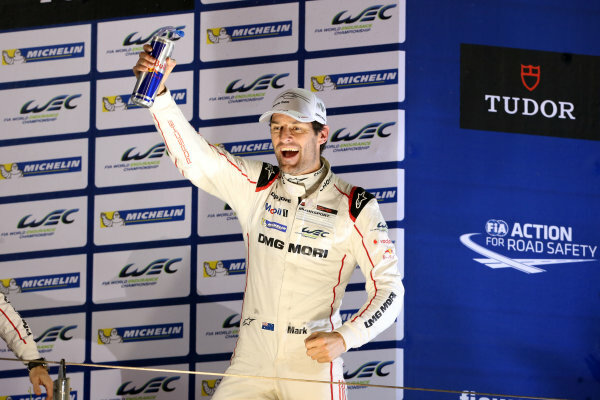 2015 FIA World Endurance Championship,<br /> Bahrain International Circuit, Bahrain.<br /> 19th - 21st November 2015.<br /> Mark Webber / Porsche Team Porsche 919 Hybrid<br /> World Copyright: Jakob Ebrey / LAT Photographic. 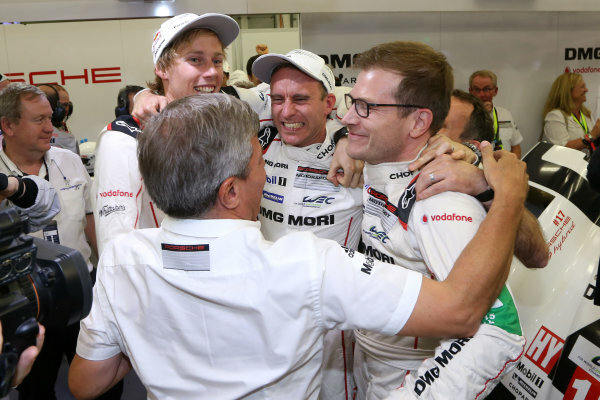 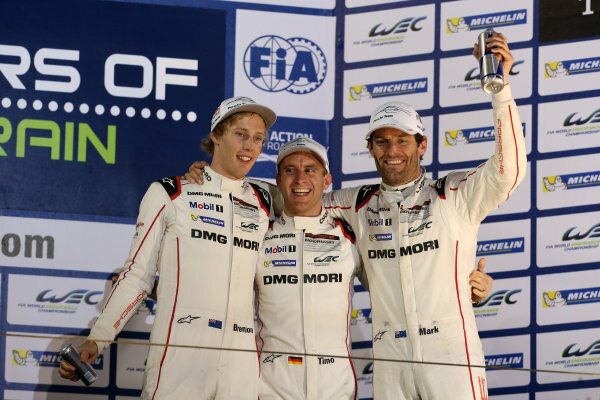 2015 FIA World Endurance Championship,<br /> Bahrain International Circuit, Bahrain.<br /> 19th - 21st November 2015.<br /> Timo Bernhard / Mark Webber / Brendon Hartley Porsche Team Porsche 919 Hybrid<br /> World Copyright: Jakob Ebrey / LAT Photographic. 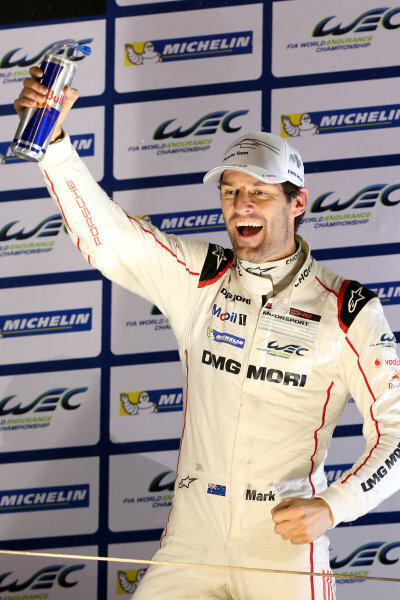 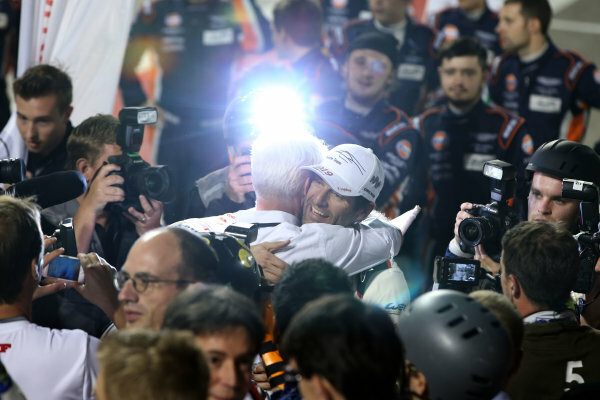 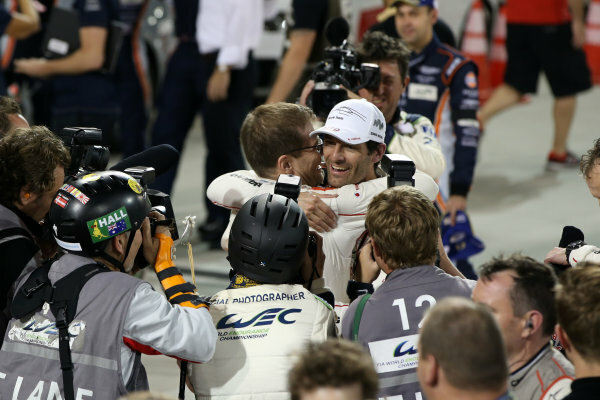 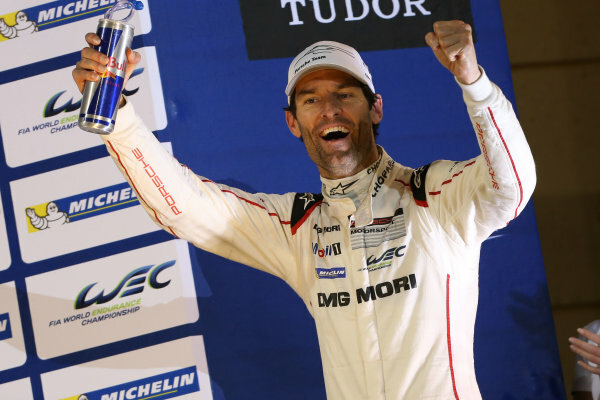 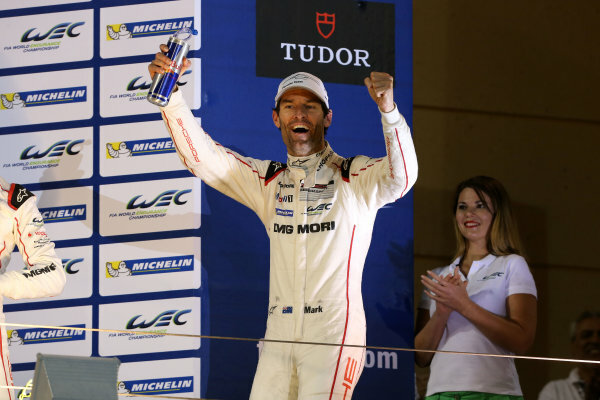 2015 FIA World Endurance Championship,<br /> Bahrain International Circuit, Bahrain.<br /> 19th - 21st November 2015.<br /> Mark Webber Porsche Team Porsche 919 Hybrid 2015 Champion.<br /> World Copyright: Jakob Ebrey / LAT Photographic. 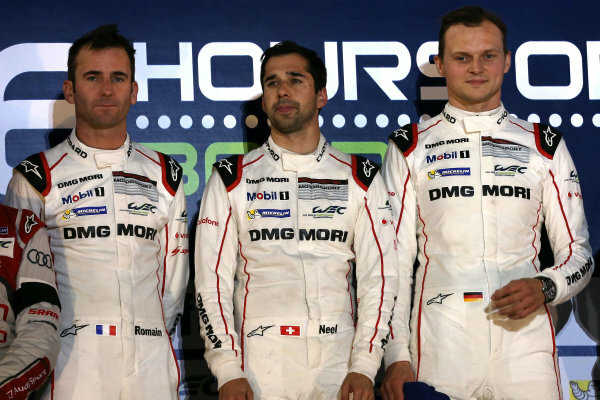 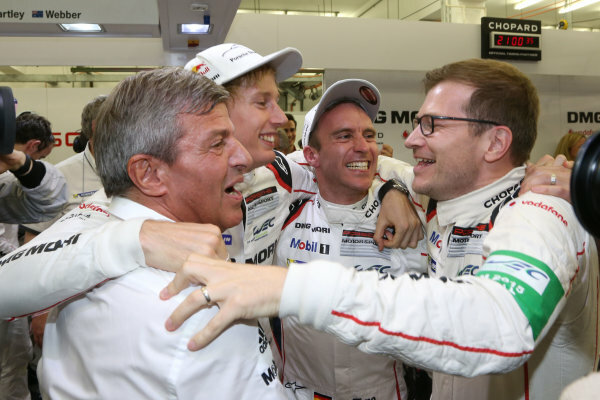 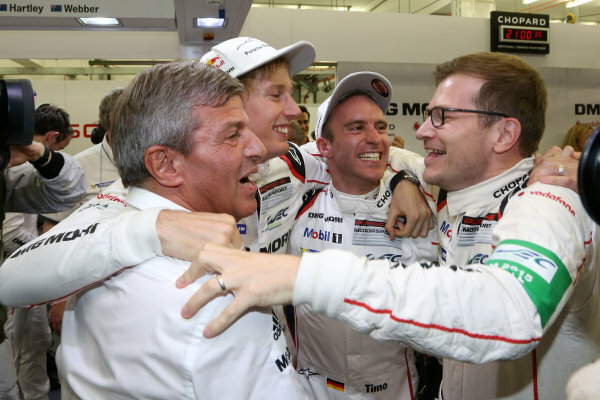 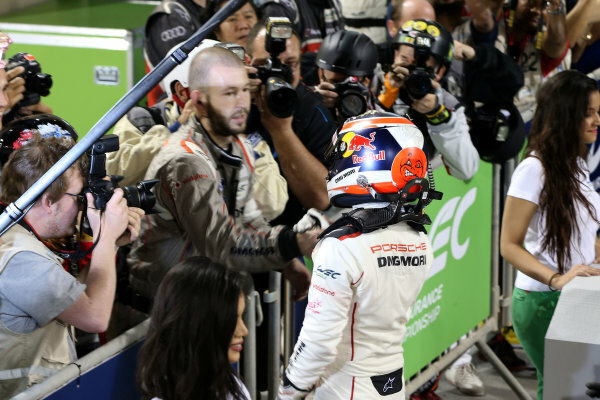 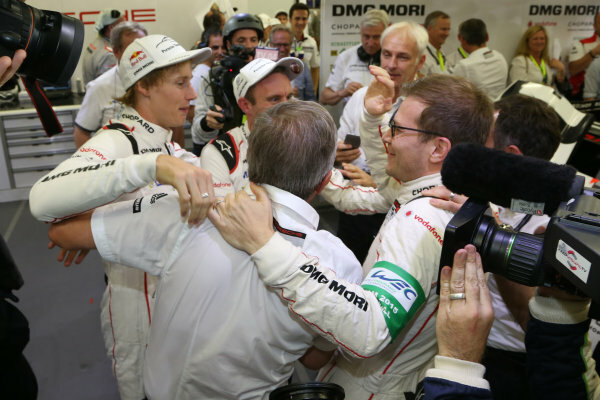 2015 FIA World Endurance Championship,<br /> Bahrain International Circuit, Bahrain.<br /> 19th - 21st November 2015.<br /> Romain Dumas / Neel Jani / Marc Lieb Porsche Team Porsche 919 Hybrid.<br /> World Copyright: Jakob Ebrey / LAT Photographic. 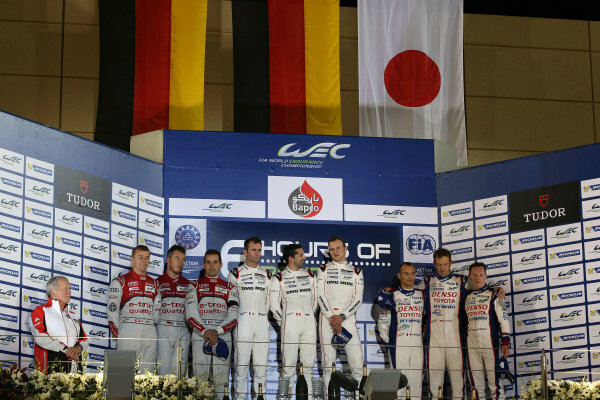 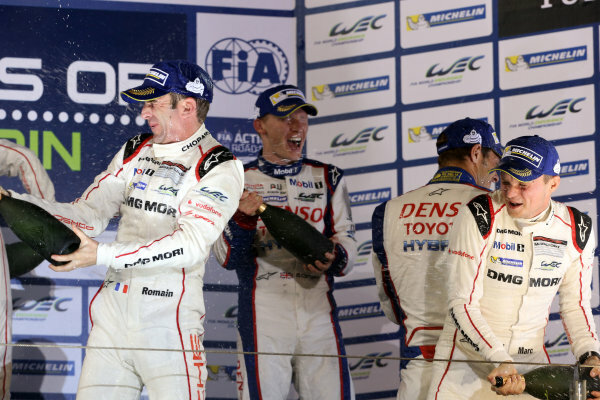 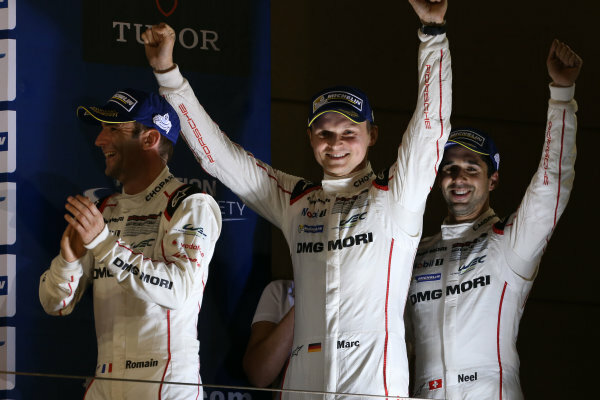 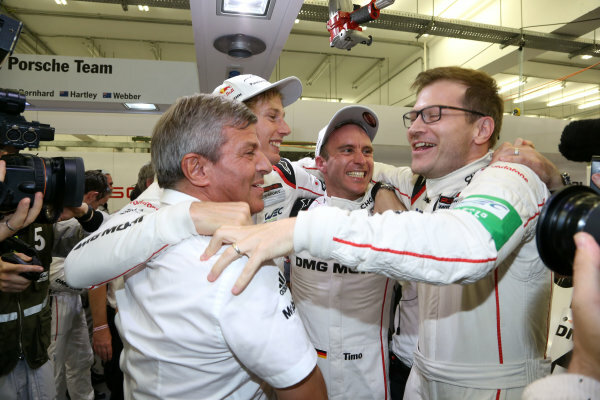 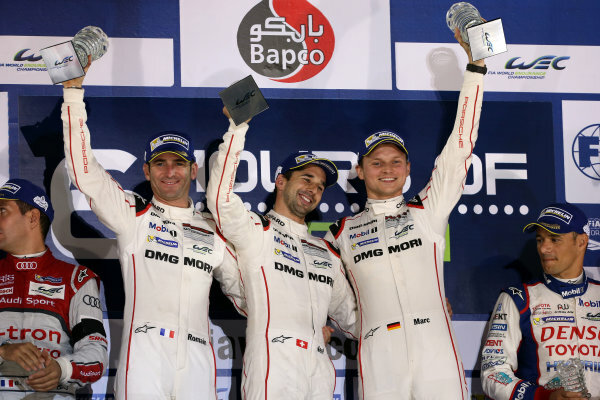 2015 FIA World Endurance Championship,<br /> Bahrain International Circuit, Bahrain.<br /> 19th - 21st November 2015.<br /> P1 Podium (l-r) Marcel Fassler / Andre Lotterer / Benoit Treluyer Audi Sport Team Joest Audi R18 e-tron quattro, Romain Dumas / Neel Jani / Marc Lieb Porsche Team Porsche 919 Hybrid, Alexander Wurz / Stephane Sarrazin / Mike Conway Toyota Racing Toyota TS040 Hybrid .<br /> World Copyright: Jakob Ebrey / LAT Photographic. 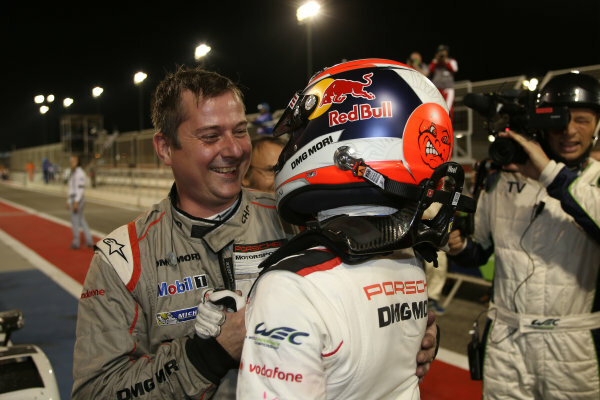 2015 FIA World Endurance Championship,<br /> Bahrain International Circuit, Bahrain.<br /> 19th - 21st November 2015.<br /> Neel Jani Porsche Team Porsche 919 Hybrid.<br /> World Copyright: Jakob Ebrey / LAT Photographic.